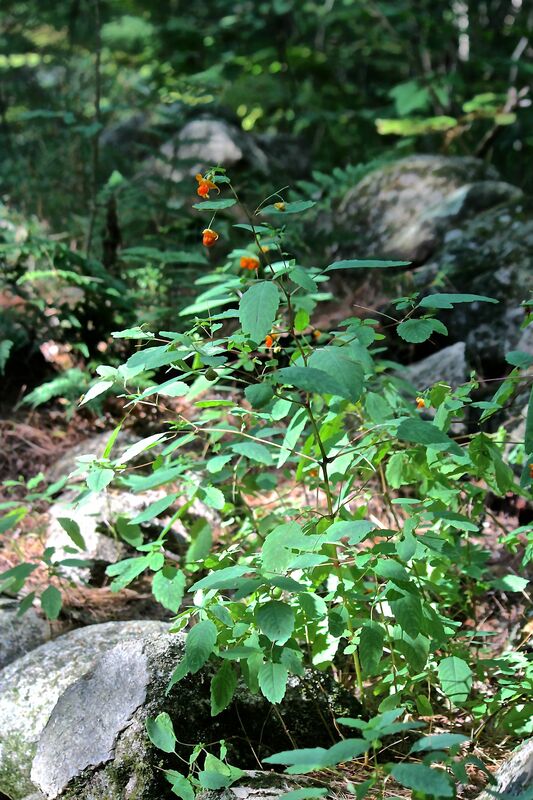 Orange jewelweed, aka Spotted Touch-Me-Not. I found these lining the path during a quick walk through Pondicherry Park yesterday afternoon. 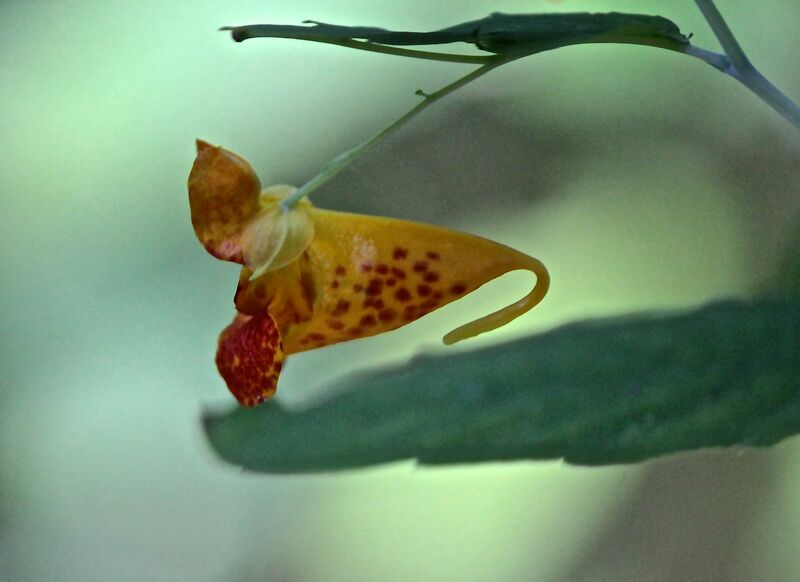 The flower will form a capsule that bursts open and flings seeds when touched. 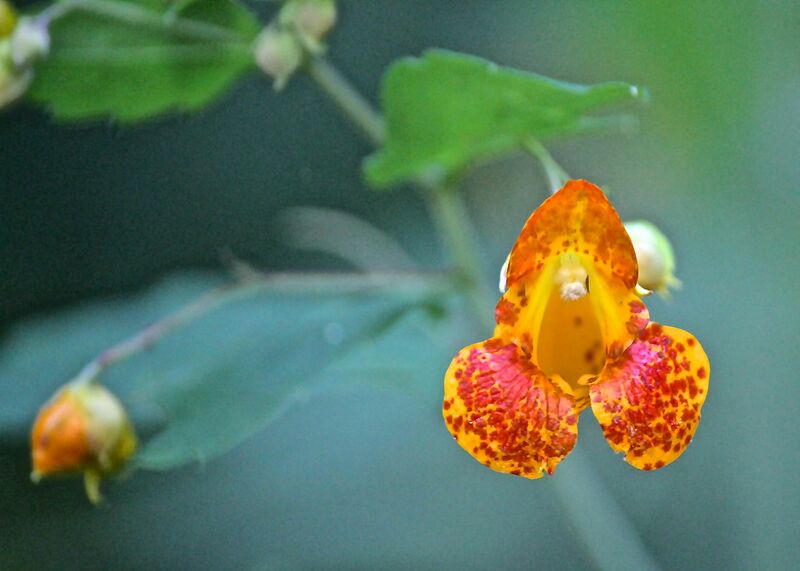 One of the cool things about jewelweed’s structure is its spurred sac that extends backwards. Though it likes the moist woodland paths in the park, I also found it in bloom atop a stonewall. 2. I’d never seen turtlehead until I moved to Maine. As a kid, I collected turtles–think stuffed, ceramic, wooden, glass. A neighbor even gave me a shell, which I still have. So, when we moved into our old farmhouse, I was excited to discover pink turtlehead growing in the garden. And on several occasions this past week, including yesterday’s walk in the park, white turtlehead was in bloom. It’s so named for the two-lipped appearance, with the upper lip arching downward and strongly suggesting a turtle’s head. 3. 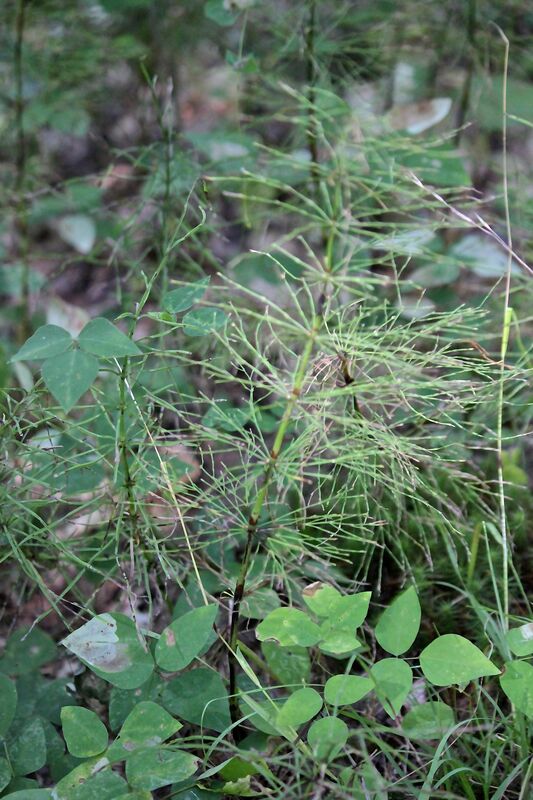 Woodland horsetail grows among the white pine saplings. 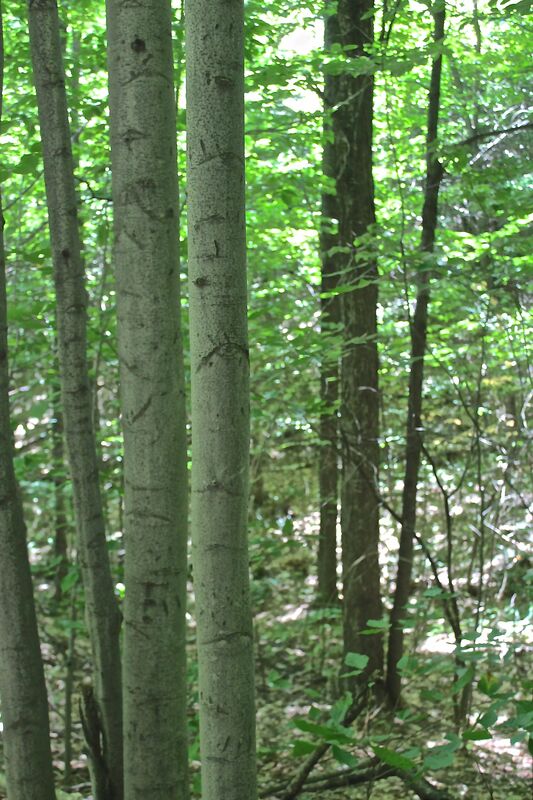 It’s easy to confuse the two since they both have whorled branches, but the horsetail branches have a lacier appearance. 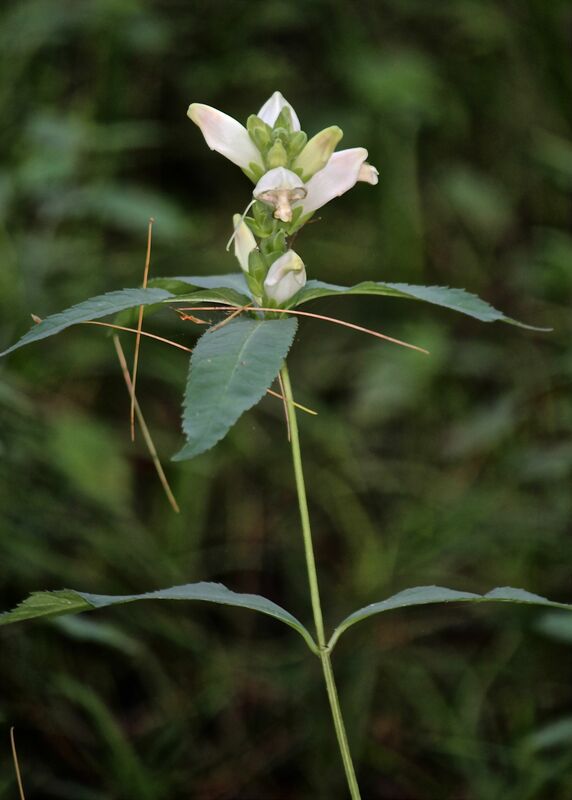 Its “leaves” are reduced to a toothed sheath that surrounds the stem. 4. 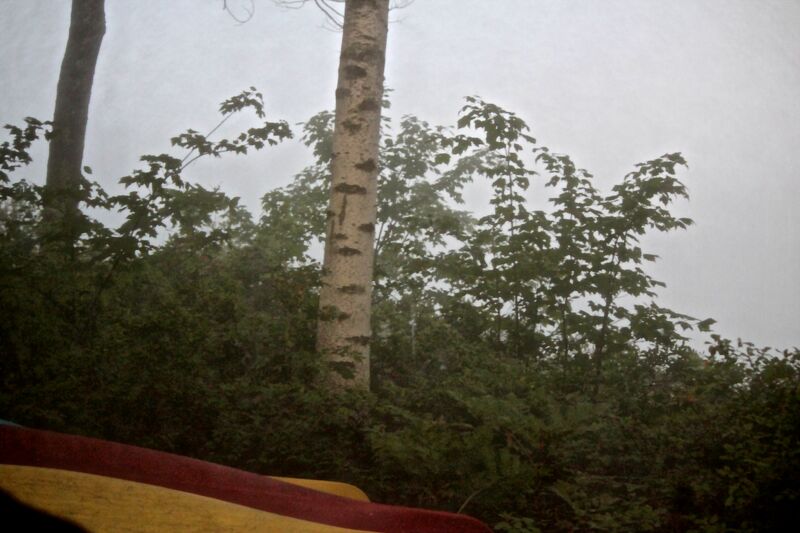 Morning fog on Moose Pond was almost the pea-soup variety until it began to burn off around 7:30 this morning. 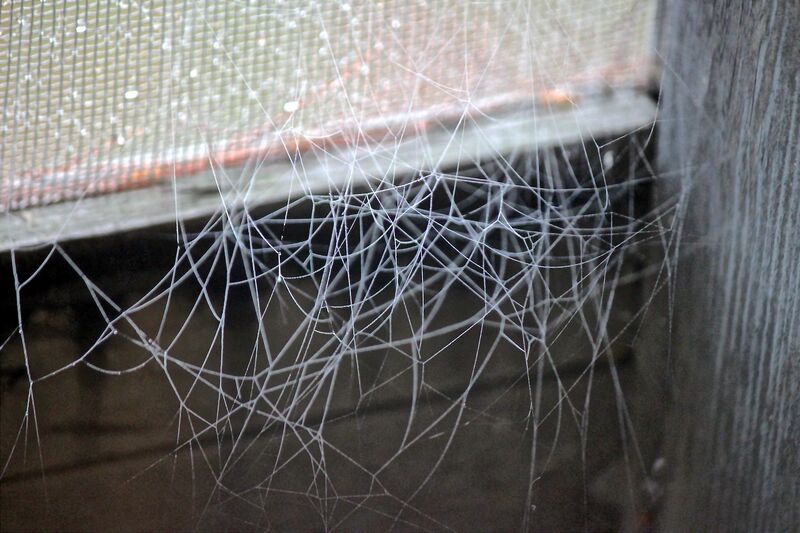 I was mesmerized by the patterns created by the moisture on the porch screens. 5. I was equally mesmerized by the spider works I found both on the porch and outside. Industrious architects are these. Mind you, I’m not a spider fan. I used to make family members destroy them. And I remember some mighty large and hairy ones that shared our flat in England back in ’79. That’s when I learned that the eensy weensy spider really does climb up the water spout. 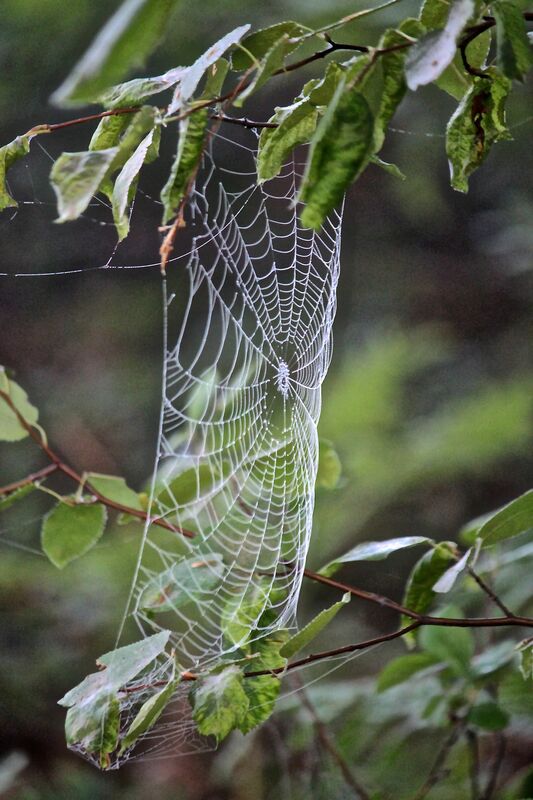 But, these webs are to be admired. 6. As my guy and I climbed Burnt Meadow Mountain in Brownfield today (after the fog burned off), I realized for the first time that white oaks grow there. It’s the little things that excite me and seeing those rounded leaves made my heart flutter. 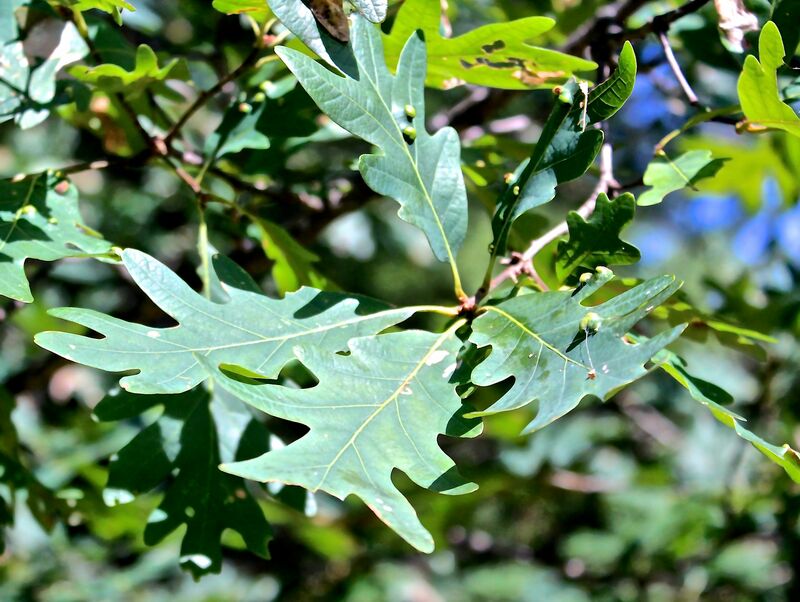 I’ve now noted that white oak grows beside red oak in Casco, Denmark and Brownfield. 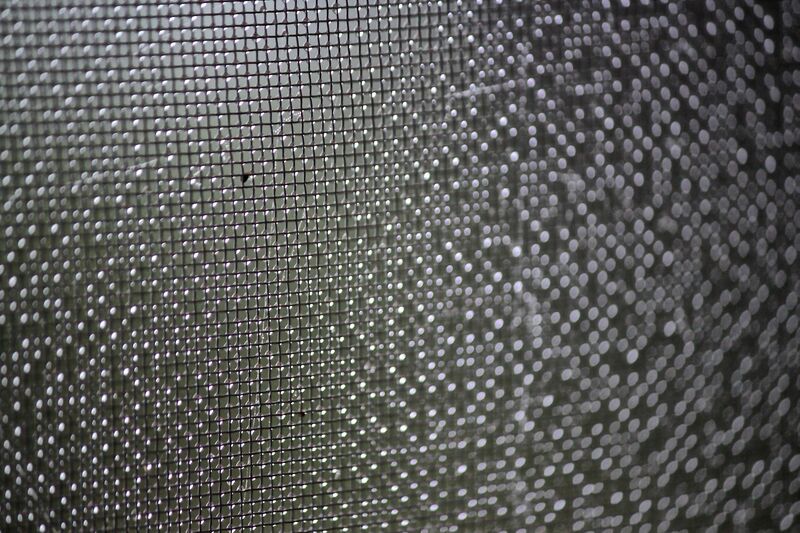 I’m connecting the dots that form its northern line. 7. 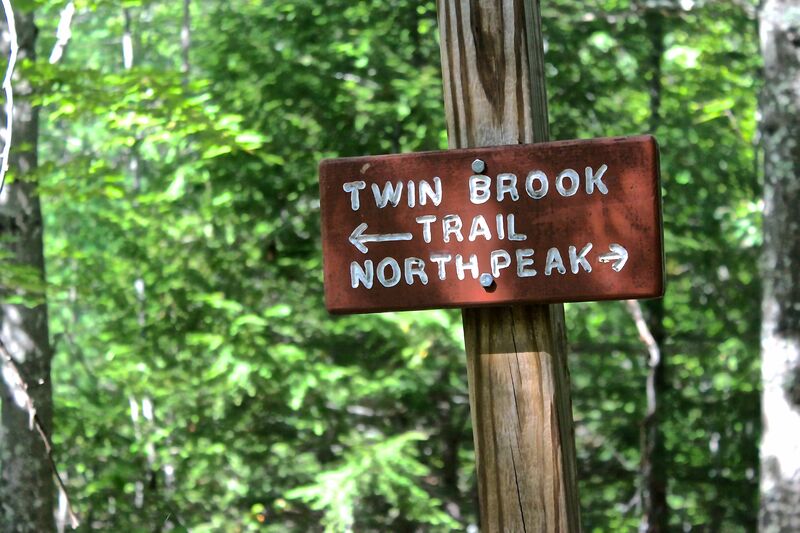 We followed the North Peak trail to the top. 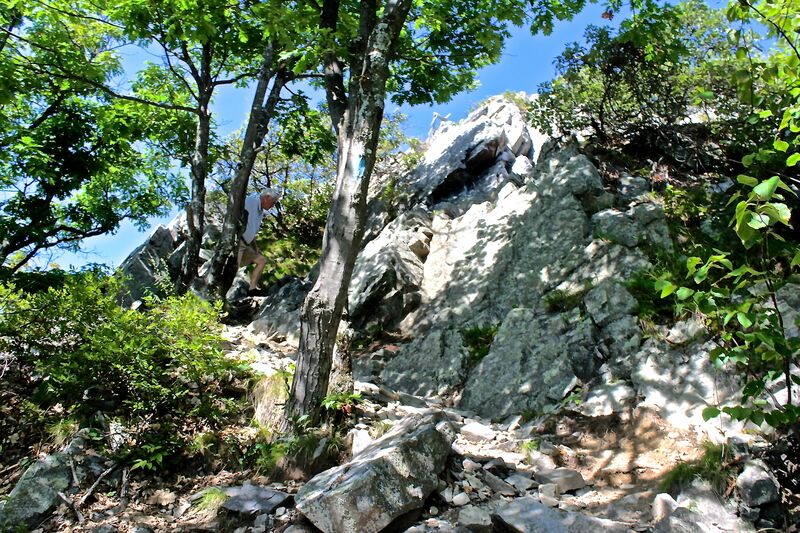 It’s always a joy (think: relief) to walk onto the large, flat summit after scrambling over the rocks to get there. Because we like a round trip, we descended via the Twin Brooks Trail, which offers some great mountain views, including Mount Washington. 8. 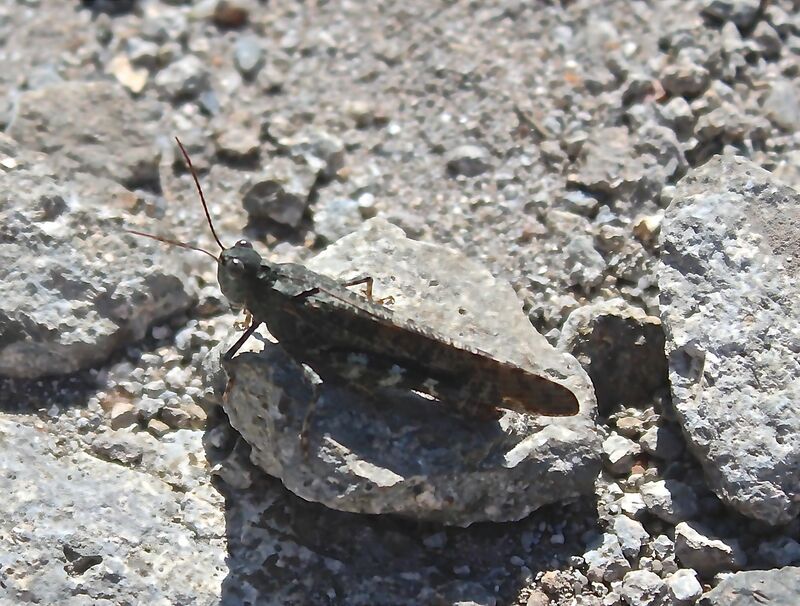 Grasshoppers are abundant at the summit. 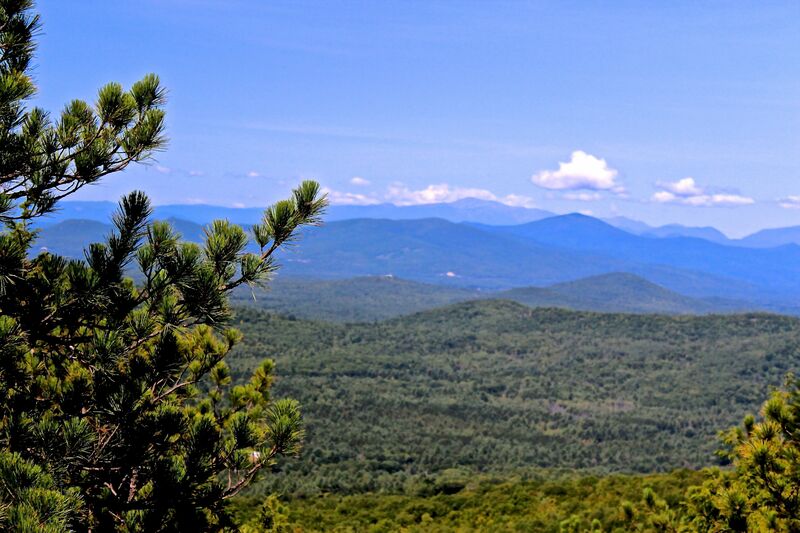 They’re known to feed on blueberries, and the crop is quite abundant, especially just off the summit on the Twin Brook Trail. 9. Oak Gall. I think this is an oak apple gall growing on the red oak, but I’ve never actually seen one on the tree before. Usually, I find the dried shell of such a gall on the ground. 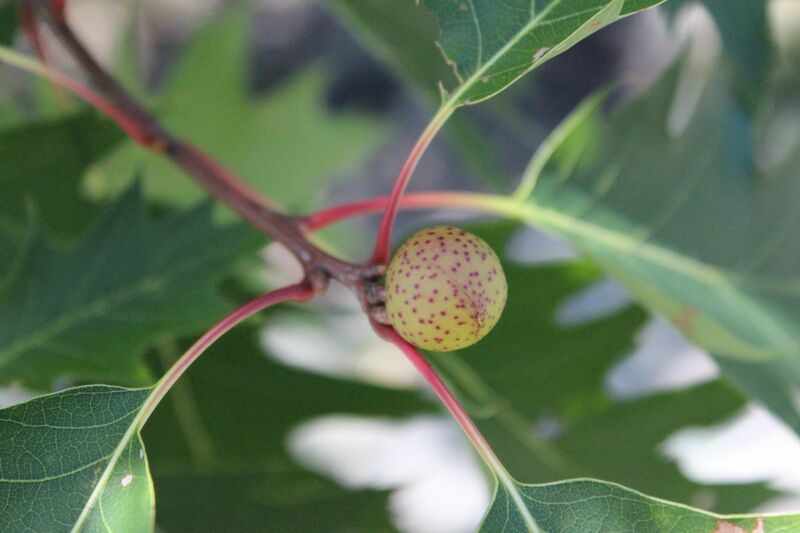 My other guess would be the acorn plum gall. If you know, please inform me. 10. I was looking for these and we found them. 🙂 Yes, more bear claw marks. It only made sense. 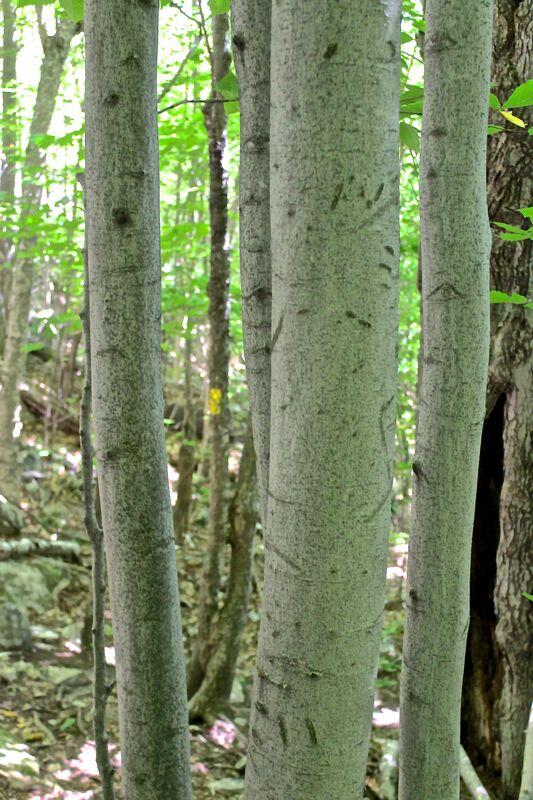 Lots of beech trees. Lots of blueberries. And . 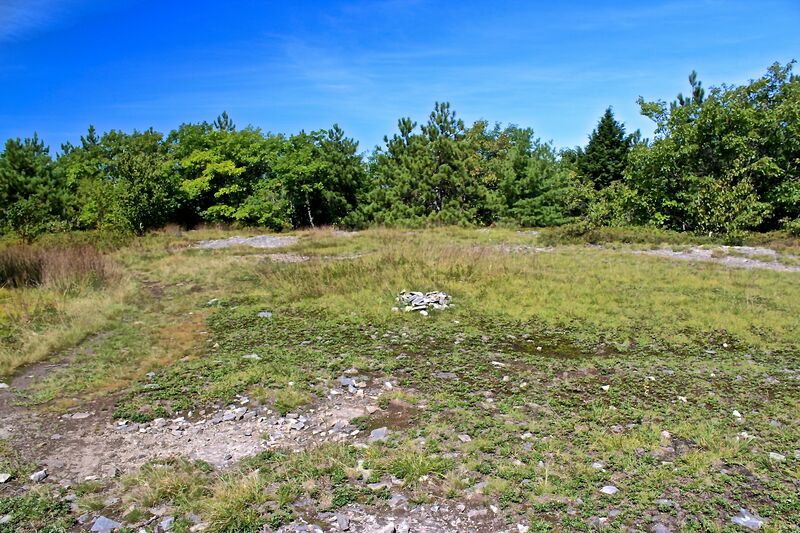 . . a few years ago, we encountered a bear on the North Peak trail. 11. OK, so here’s my eleventh cool thing. Kinda like getting a baker’s dozen–11 for 10, such a deal. 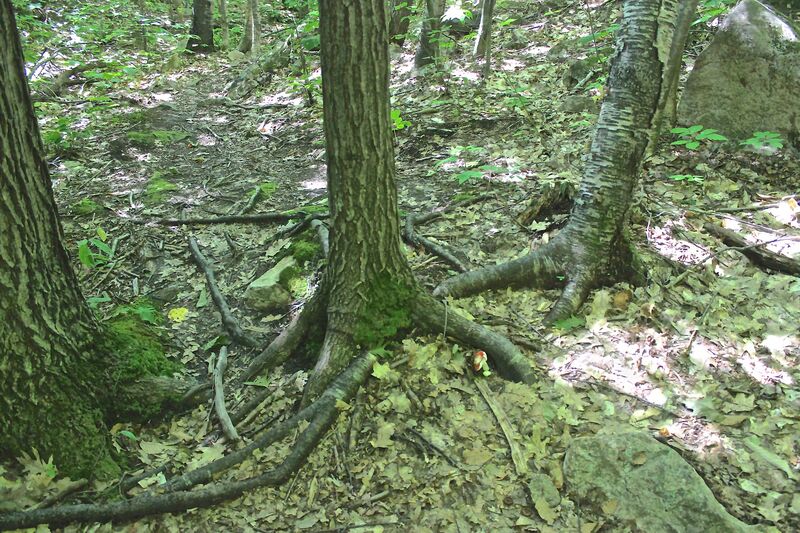 Anyway, I’m always fascinated by the manner of tree roots growing over and around each other and other things. Embracing. Supporting. Layering. Call it what you want. The thing is, they find a way to grow together. Oh, it doesn’t always work out. Sometimes it’s a smothering relationship. 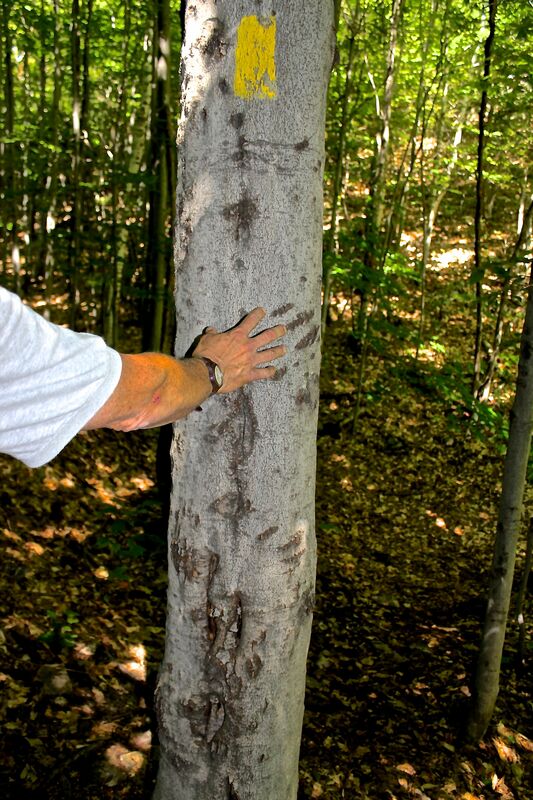 I’d like to think that these two trees, an oak and a birch, have intertwined in support of each other. Thanks for joining me to take a look at the past 24 hours. I hope you had time to wonder as well. I miss you. We need to wander together soon, Ursula. can catch them, they are tiny but yummy!